The Scottsdale and Phoenix collectors’ cars sales in Arizona are the first major classic car auctions each year. Several auction houses, including Barrett-Jackson, Bonhams, Gooding and RM Sotheby’s participate in this weeklong event that usually see well over 2,000 cars on offer. 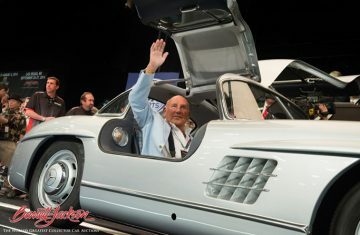 The first significant collectors’ car auctions of the year are held each mid-January in Scottsdale, Arizona. This weeklong commercial event currently have all major classic car auctioneers competing (except Mecum). RM Auctions, Gooding & Co, Bonhams, and Barrett Jackson regularly achieve over a million dollars on select vehicles but many other smaller auctioneers also participate covering cars in all price classes. See Scottsdale, Arizona articles for latest announcement and results. The annual January classic and collectors’ car auctions in Arizona are generally referred to as Scottsdale, even though many of the sales are in adjacent Phoenix, Arizona. It is the first major classic car event of the year and one of the biggest. In 2015, six auction houses offered 2,939 collector cars for sale and sold 2,500 for a sell-through rate of 86% and an average price per car of $115,729 earning nearly $300 million in total. See 2015 Scottsdale and Arizona Top Classic Car Auction Houses for specifics. In 2014, the following five participating auction houses grossed $245 million ($226 million in 2013) by selling 1,837 vehicles (2,029 in 2013). 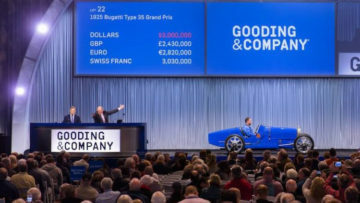 RM Auctions earned $45.6 million from 126 lots on offer, Gooding & Co made $49.4 million from 158 lots, and Bonhams $25 million from 101 lots. 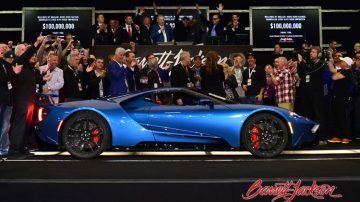 Barrett Jackson, which held auctions on six days, moved 1,399 cars for a total of $113 million in sales (including the most expensive Corvette ever). Russo and Steele earned $21 million. 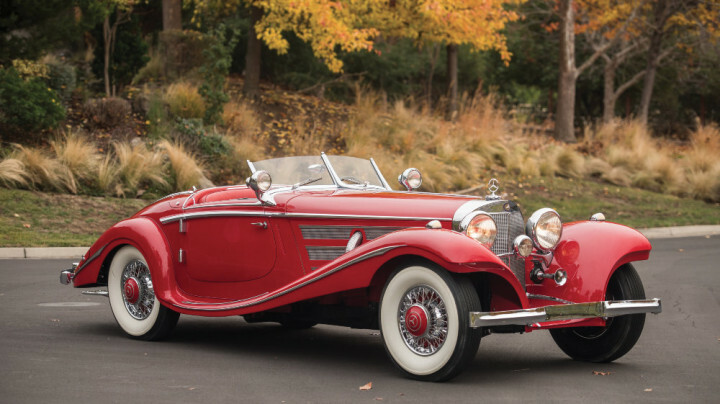 The auction record for Scottsdale / Arizona is $9,900,000 achieved by a 1937 Mercedes Benz 540 K Special Roadster by Sindelfingen at the RM Sotheby’s Arizona 2016 auction. 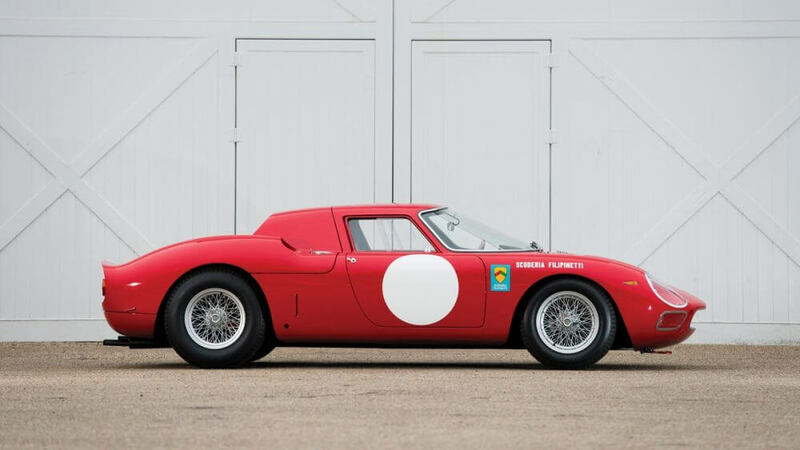 The previous record was $9,625,000 paid for a 1964 Ferrari 250 LM sold at the 2015 RM Auctions Arizona sale. 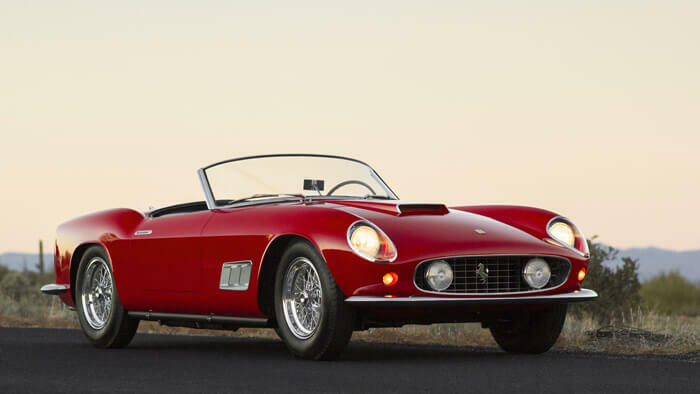 This car broke the previous record $9,405,000 set only a day earlier for a 1966 Ferrari 275 GTB Competizione at the 2015 Bonhams Scottsdale classic car auction and the $8,800,000 achieved for a 1958 Ferrari 250 GT LWB California Spider by Scaglietti at the RM Auctions’ Arizona sale in 2014.